The Smile Gallery practices the Art of Fine Dentistry. We work to ensure our patients have the most relaxed and comfortable experience possible. Our individualized patient attention means you receive the best care possible. Navigate to the Smile Gallery's office in Escondido, CA. Fill out your New Patient Forms early to have a timely first visit. Limit wait room time by preparing for your first visit. We've got answers to your most pressing dental questions. "Customer service with a focus on a relaxed and comfortable visit is our goal for every patient." Dr. Bainer is the general cosmetic and family dentist in Escondido you can trust. While there are many choices for oral care, we at the Smile Gallery provide a comfortable, stress-free environment where patients needs come first. Our friendly staff is ready to greet you warmly, set you at ease, and create a level of comfort and customer service rarely seen in the dental industry. 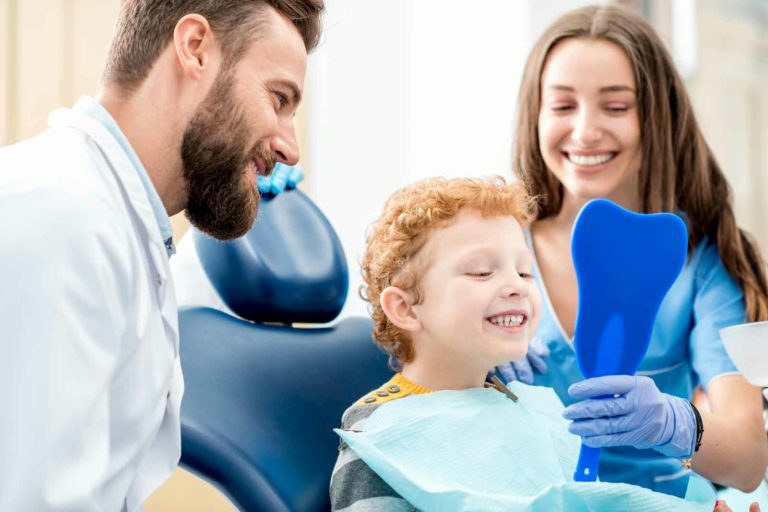 We understand patients who have dental anxiety and have been working for years to provide the safe, comfortable environment that makes you want to see your Escondido dentist a few times a year or anytime your teeth need dental services. A great smile can open an entirely new world of opportunities, and the Smile Gallery is here to help you achieve the smile you always wanted. Whether your smile isn’t precisely the way you want it to be due to accidents, the effects of aging, previous dental treatments, or just the way the teeth grew in, Dr. Bainer can restore your smile through a variety of modern dental services with the comfort and understanding you deserve from a dentist. Our friendly staff works hard every day to ensure your comfort and quality of services are met to the highest standards in the industry. Dr. Bainer is a highly trained professional who will ensure that your dental treatments are properly diagnosed and handled properly and timely. The Smile Gallery provides top quality dental work and follow up to ensure the patient is satisfied and comfortable after their visit. As dental technology and procedures advance, so does the Smile Gallery. We like to integrate any proven tech or procedure that can help patient comfort.